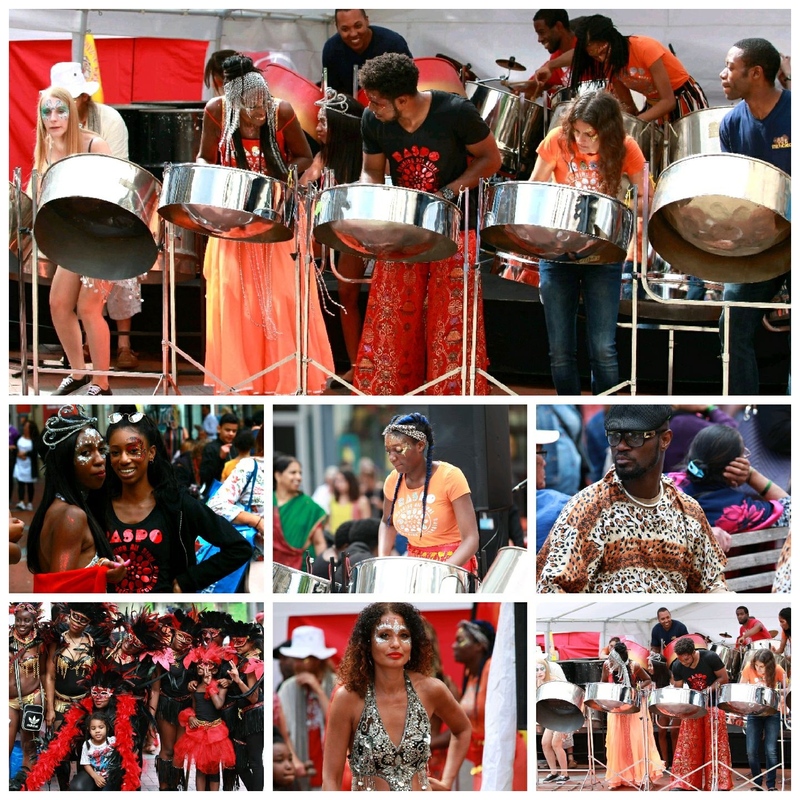 Launched in 2016 the event celebrates diversity with a showcase of local and international World music artists including a collaboration between Reading’s home grown steel orchestra RASPO Steel Orchestra and Slough based Stelphonic Steel Ensemble who joined together for a captivating repertoire of popular songs. 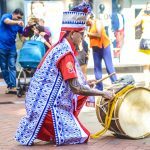 For the Broad Street Parade a panoply of masqueraders, dancers and percussionists snaked through the city centre brandishing decorated parasols and batik flags depicting cultural life through the arts. Carnival of the World masqueraders adopted a Middle Eastern theme with an array of colourful bejewelled costumes and head dresses. 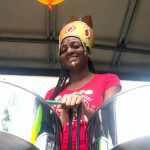 Guest masqueraders Unity Arts were adorned with feathers and glitter in black and red for their No Nonsense Mas theme. 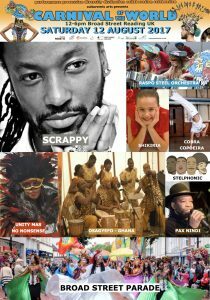 African beats came courtesy of Osegfeyo Theatre Company djembe drummers from Ghana combined with the Caribbean rhythms of the steel orchestra percussionists combined with the Brazilian style Pandieros and Birembaus from Cobra Capoiera. 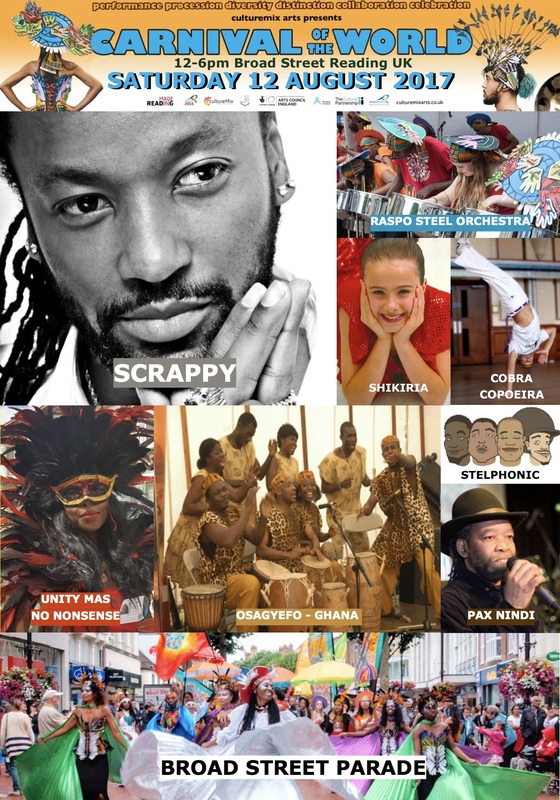 Carnival of the World returns in 2018 on Saturday 18 August from midday. 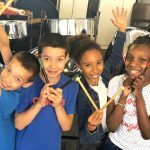 Workshops in steel pan, costume making, dance and much more will take place at Reading College throughout the summer. Get involved as a performer, costume dancer, a volunteer and much more. Contact Nathifa for more information. Main images by Wilf Springer.